Skinny Fat Solution: How to Lose the Skinny Fat Body Type? What is Skinny Fat and How Do I Lose It? Skinny Fat – What is it? For those of you that are unsure what this is…skinny fat is a term that was coined to describe those that are not necessarily obese but hold a quite a bit of noticeable fat on a skinny frame. In even simpler terms, think of person appearing to be slim when seen with a t-shirt on with no sign of body fat. However, once the t-shirt is removed; you can see they have body fat around their waist and other hidden areas not seen while clothes are on. due to having poor diet and/or little to no weight training. 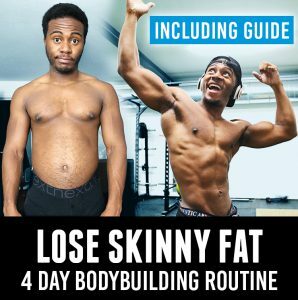 How do it get rid of a Skinny Fat physique? 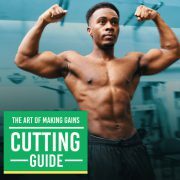 To lose the skinny fat body type, you need to improve your muscle to body fat ratio. This is also known as body recomposition. By increasing the muscle mass on your body, this will create the appearance of broader shoulders and back (which will make your waist appear smaller in comparison). Having more muscle on your body will also help you lose more body fat even when not exercising. 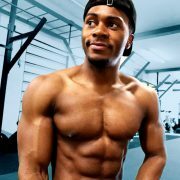 As scientific studies show that, the more muscle a person has on their body the more their body can naturally burn fat. 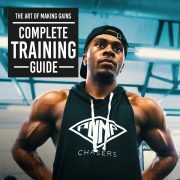 What workout routine should I follow?